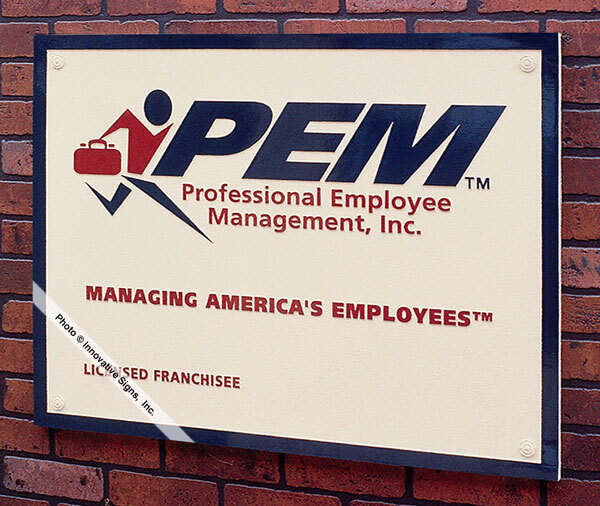 Professional Office Plaques - Business Plaques - Corporate Plaques - Bronze Plaques - Custom Plaques - Innovative Signs, Inc. Contributing to its professional appearance, this inscription is simple, straightforward, and has a generous amount of unused "white space." 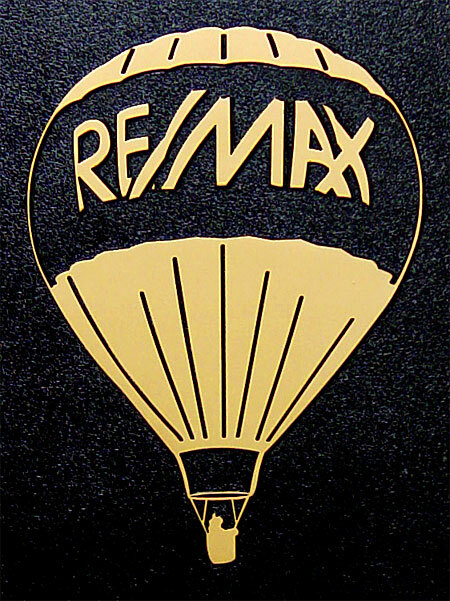 Custom logo graphic, traced from their original color logo. 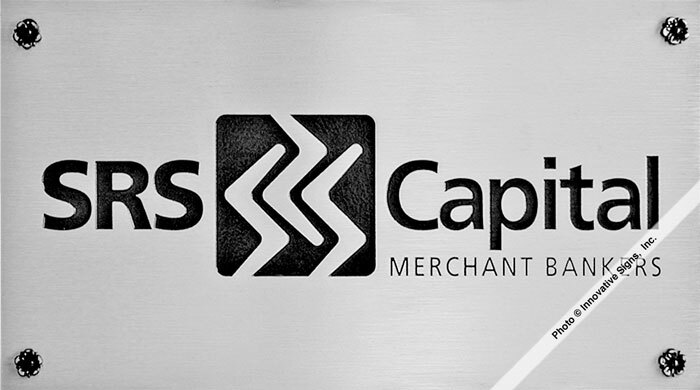 Both the New York and California offices of SRS Capital make striking first impressions with reverse-cast aluminum plaques. 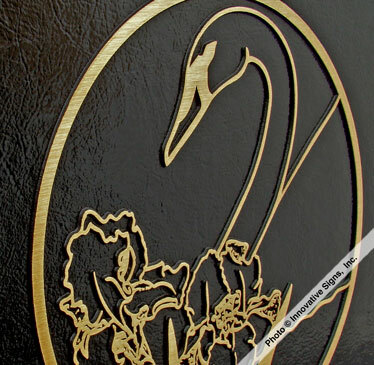 While very similar in appearance to etched plaques, reverse-cast plaques provide deeper recessed areas (with texture), and thicker side returns. 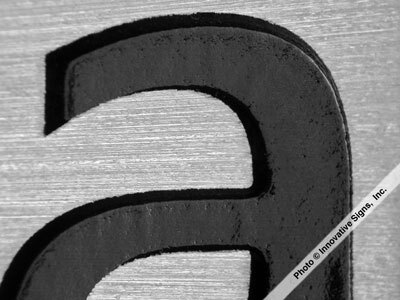 Reverse-casting also exposes much more of the metal's beauty. Overall, it's a bolder appearance, which some companies prefer. Reverse-cast inscription, and plain-edge (borderless) design. 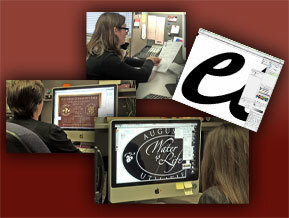 I want you and the Innovative Signs team to know how impressed I am with your organization and your work. My entire experience with your company has been wonderful, from the woman who answered my original questions to my design work with you. 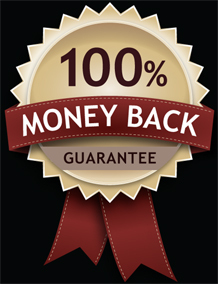 You both know your product well and are very easy to work with. You made me feel that my job was your top priority. 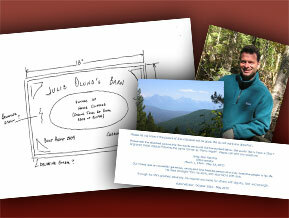 I also appreciate how you worked with me to overcome a challenging obstacle in my original design file. As a result of your suggestions, we have two quite good looking plaques to present to our retiring directors at our annual meeting. In addition, the plaques arrived quickly and were carefully packaged. They are also beautifully crafted. I am confident that both directors will be proud to display them on their walls. Thank you for your work and your outstanding customer service. 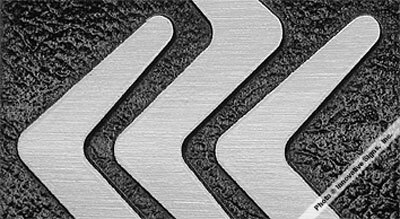 The look of metal isn&apos;t just about seeing the actual metallic material. It&apos;s also about the shape, the solid and distinctive impression it makes, and how well it stands up over time. 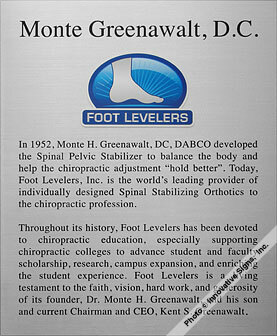 This plaque, for example, is cast in aluminum. 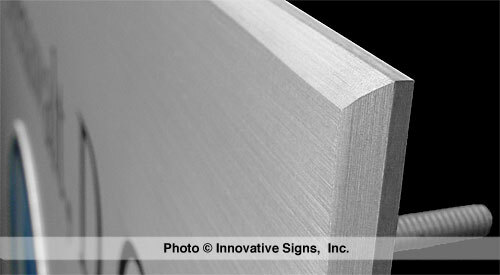 However, no aluminum material is actually visible. 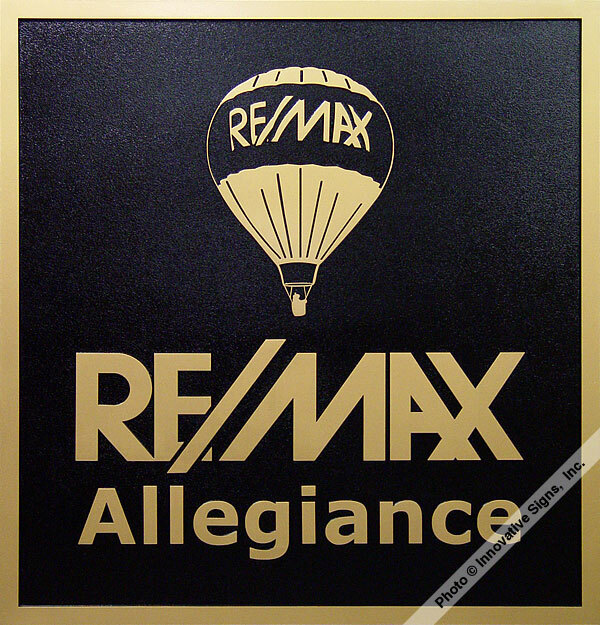 Instead, it&apos;s fully painted (even the rosettes) to match this company&apos;s existing graphics. Still, it makes an impression that no other material can make. Fully painted finish, custom colors. 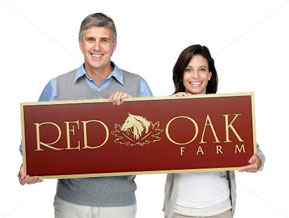 There is no mistaking Red Oak Farm, when this plaque is guiding the way. From the color, to the lettering, to the horse and oak leaves graphic, just one look tells you everything you need to know. 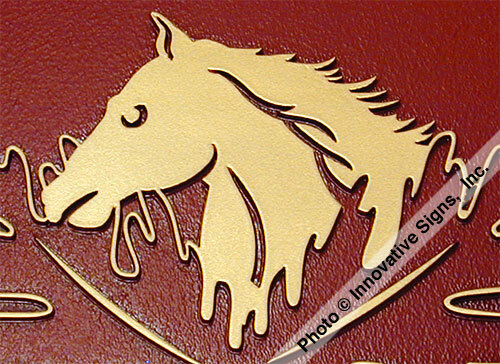 Most people don&apos;t consciously realize all of the visual clues that go into a plaque like this. Regardless, there is no question that they&apos;re highly effective at conveying the farm&apos;s overall message. This plaque&apos;s secret: It tells a story, but it doesn&apos;t look like it tells a story (in the long, boring sense of the word). 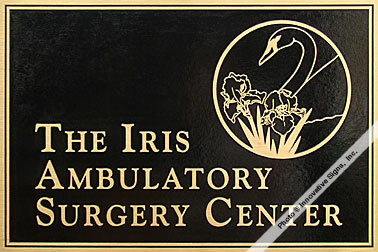 That&apos;s because, from your very first glance, it&apos;s colorful, it&apos;s professional, and it&apos;s inviting. Its very design makes you want to know more. 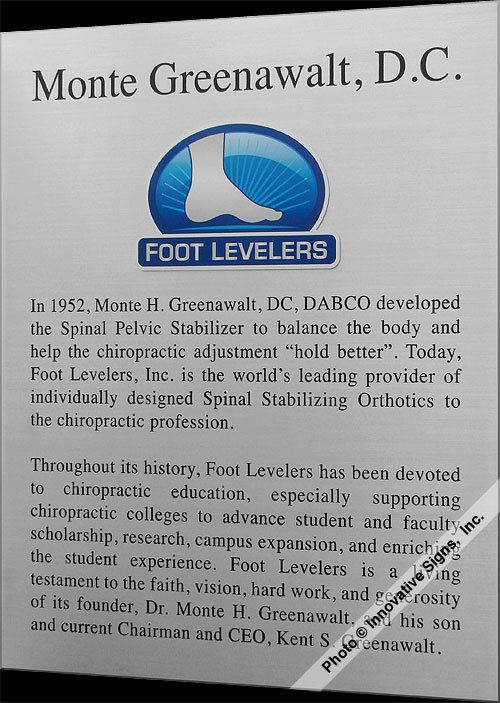 So you stop, you read it, and you discover everything Dr. Greenawalt and his Foot Levelers company meant to the chiropractic profession and their educational institutions. 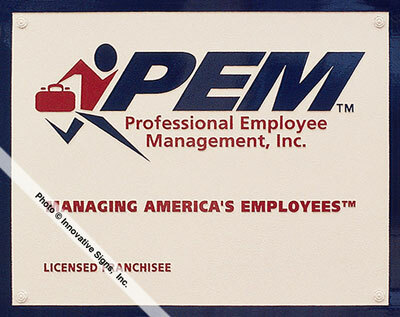 Full-color Alumicolor logo, complete with simulated reflection across the top, was added as a separate piece. 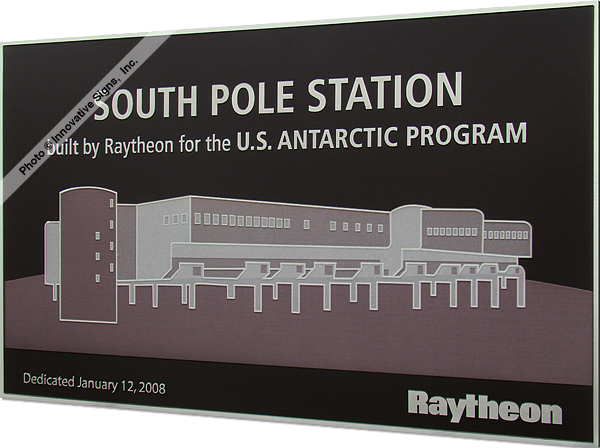 Located at the southernmost point on planet earth, the geographic South Pole, this plaque identifies the South Pole Station. 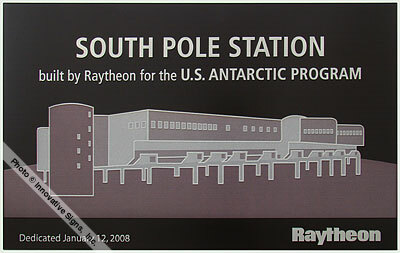 It was added by Raytheon after their construction was complete. The building itself is built on columns, is height adjustable, and has rounded corners and angled walls that create snow-scouring wind underneath. 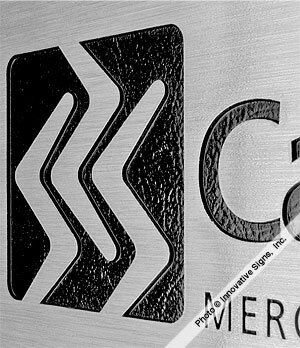 Nothing helps clients find you faster than a prominent, distinctive display of your corporate logo. 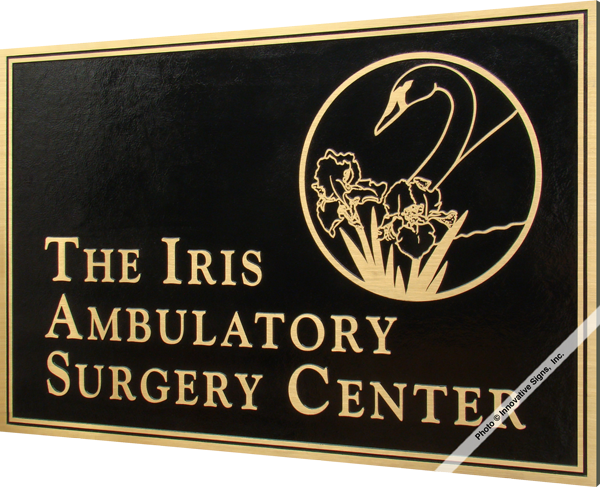 When designed correctly, this type of signage can be the perfect final touch to an already-beautiful professional office setting.